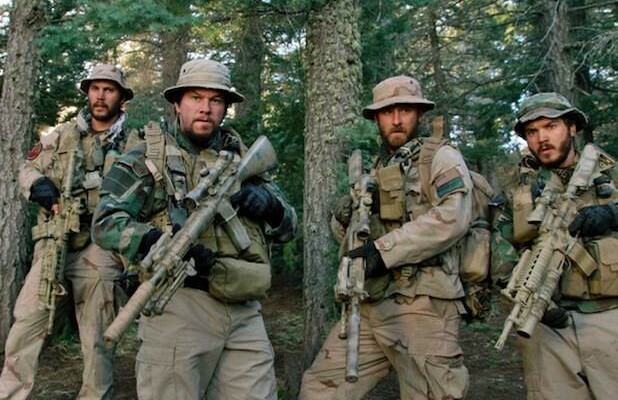 While audiences can easily guess the outcome of Peter Berg’s latest action film, Lone Survivor, based on its title, don’t be fooled into thinking this is a movie to pass up. In fact, knowing the ultimate outcome only intensified the experience. Based on Marcus Luttrell’s 2007 bestselling memoir, the film follows four Navy SEALs while on a 2005 covert mission in Afghanistan. The fact-based drama is chillingly intimate and as horrifying as it is humbling. Mark Wahlberg (Pain & Gain 2013) stars alongside Taylor Kitsch (Battleship 2012), Emile Hirsch (Prince Avalanche 2013), Ben Foster (Kill Your Darlings 2013) and Eric Bana (Closed Circuit 2013). These bearded brothers-in-arms astound audiences with their endurance, tenacity, courage and heroism. Each and every one of their performances was outstanding. Expect an adrenaline rush from start to finish. The film is extremely graphic – from a broken bone to a fresh bullet wound, to the point that the viewer can literally feel the pains they endured. The film begins with real SEAL training footage, which could be confusing to some. Is it part of the film? Does it just look incredibly realistic? Is it a dream or a flashback? It would have made more sense to show this footage at the end of the film during the rolling credits. Perhaps, Berg (Friday Night Lights 2006-2009) wanted to make it clear that this film is based on a true story from the start. Unfortunately, it wasn’t entirely clear. His direction realistically depicts the intensity and adrenaline of a battlefield and the talent convincingly illustrates the valor of the SEAL team. It’s important to note that Berg respectfully devoted enough time to the man who survived, as well as to the men who were lost. The majority of the film is devoted to the well-executed yet heart wrenching combat scenes of Operation Red Wings. The camera is purposely positioned toward the men and their visual frame so audiences are just as surprised when the actors become startled after seeing a Taliban soldier dodging between trees. The pain in their eyes and nervousness written across their faces is enough to make one’s stomach churn. No words needed. The film is professionally polished. It is not over the top Hollywood. Some may compare it to Saving Private Ryan (1998) but even that may be too sensationalized. Berg’s work effectively portrays how the high-level Taliban operative was executed. Audiences will be absorbed in the fight for survival despite knowing the end result. While every American should understand what our soldiers fight for, the film’s consistent intensity and explicitness may not be for all. I would also imagine it being unspeakably difficult for war returnees to watch. Bottom Line? Lone Survivor features a true story of several men who are pushed to their limits and rise to the occasion until they can no longer rise again. Although the distress of the violence, explicitness and pure shock due to its reality can become wearing, this thriller is worth your time.